This is the story of the secret war fought by the SAS in southern Oman between 1971 and 1976. The book reveals how small teams of elite soldiers destroyed a guerilla army, saving the Omani regime and preventing Soviet-backed guerillas seizing control of the Persian Gulf. From 1971-76 the SAS fought and won a guerilla war in the hills and deserts of southern Oman. They were successful, defeating the communist rebels and keeping the operation so secret that the Labour party were unaware of what was happening until they won the 1974 election. This book was first written in 1980 and heavily edited by the Ministry of Defence and the Foreign Office. These restrictions have now been lifted, allowing the book to reveal key details previously omitted. Used as a text book by student soldiers, it reveals how small teams of elite soldiers destroyed a guerilla army. 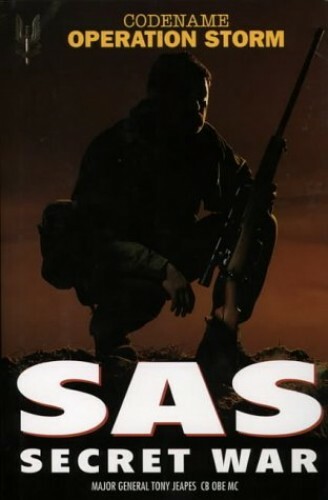 While the US Army was losing its public war in Vietnam, the SAS fought in secrecy, saving the Omani regime and preventing Soviet-backed guerillas seizing control of the Persian Gulf.